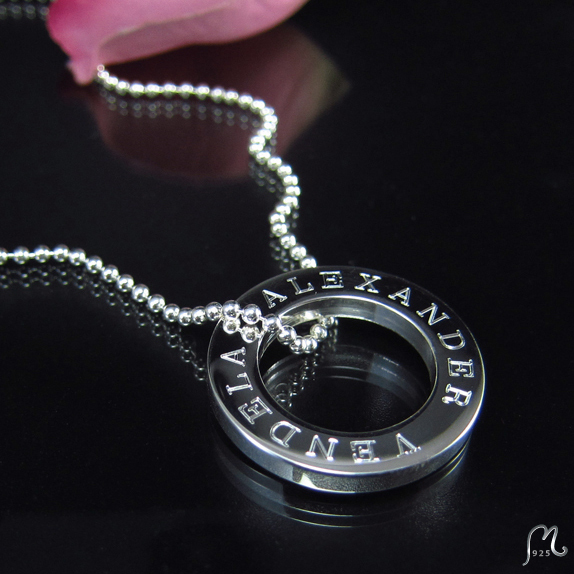 Personalized silver jewelry - a memory for life. Modest prizes and personal service since 2006. 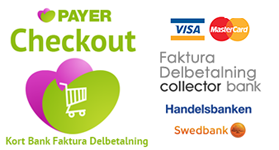 Choose between different chains, lenghts and coloutrs of engraving. 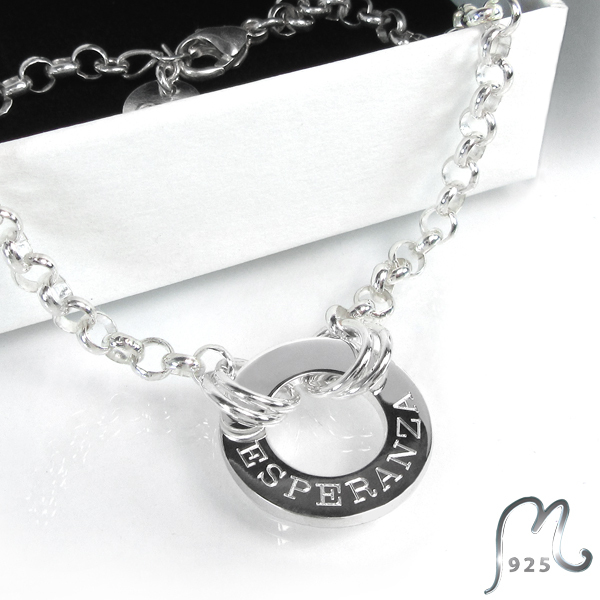 Personal engraving and chain are included in the price of all personalized pieces of jewelry. Welcome to m925.se ! Esperanza Heart of gold. Personal engraving. 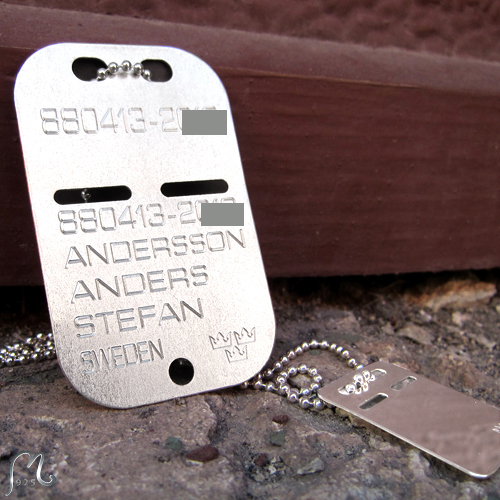 Army dogtags in silver. Large. Engraving included.